Whether you are a track and field athlete or a gym wanabee attempting to improve your body composition, a good strength and conditioning program will precipitate increases in power which will translate to faster sprints, higher jumps and other improvements in overall athletic performance. 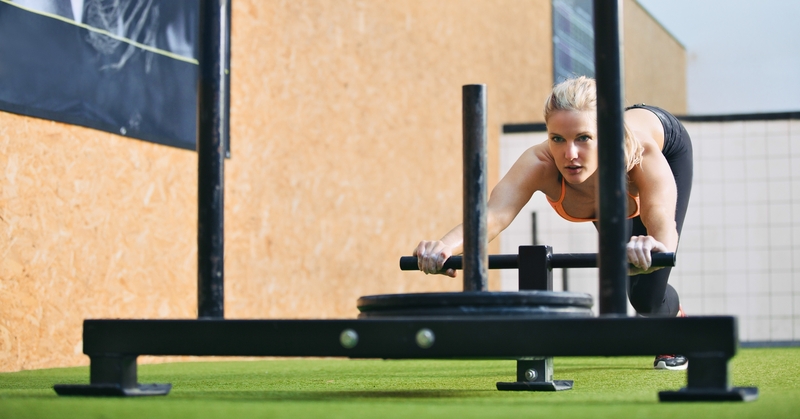 The Prowler is probably king when it comes to strength and conditioning. It can be loaded for sprints or for strength work and provides an absolute killer workout. It is also one of the most effective methods of increasing strength in the legs, hips and arms. In fact there isn’t a lot that this beast isn’t capable of due to its versatility. It is simple to use, and you are unlikely to injure yourself whilst training with it. The Prowler can be pushed and pulled for time, distance, and speed. To increase resistance it can be progressively loaded with weight. The Prowler can also be utilised laterally, an often neglected component of athletic training. Your strength and conditioning training can be easily progressed in intensity by adding more weight to the prowler, going faster, going for a longer distance or exercising for a greater length of time. This piece of equipment is especially useful to trainees unable to squat or deadlift, due to injury. It also has no eccentric component to its performance. It is this eccentric component which creates the majority of soreness, experienced by athletes the day or two following most weight training exercise. The lack of eccentric component means the prowler can be trained hard, without leaving you sore the next day, which enables you to train this beast more frequently. Its effectiveness is such that strength and conditioning programs that utilise prowler training are likely to deliver superior results to those which don’t. Another extremely effective strength and conditioning drill. In order to do these you will need access to a multi-storey car park or some other long flight of stairs such as a stadium. You can sprint from the bottom step to the top, then walk back down as your recovery period. A fifteen to twenty minute workout is usually enough to wipe out most humans. 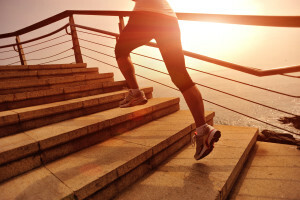 A staircase workout also serves as a really effective method of improving health and overall fitness. A 2005 study•by the british journal of sports medicine has shown that simply walking up two hundred steps twice a day, five days a week, for eight weeks, can induce a seventeen percent increase in VO2 max, an indicator of aerobic fitness. Stair running elicits even more benefits as it dynamically engages the entire leg musculature. Additionally as with hill sprinting it is easier on the joints than regular flat sprinting. Sled dragging is another great strength and conditioning exercise, which will also build muscle. Sleds have multiple uses and applications. With a little improvisation, virtually any exercise you can perform with a pulley can be done with a sled. Like the prowler, sleds are able to be pushed and pulled. Forward drags facilitate speed development and will primarily target your posterior chain. It is also a great calf builder if the loaded sled is dragged up hills. Dragging a sled backward is also one of the most brutal exercises you can perform to wipe out your quadriceps. Sleds are easy to construct from an old tire if you do not have access to one. 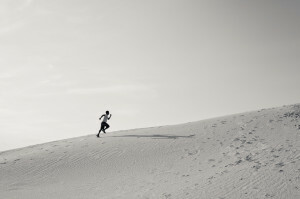 Hill sprints are awesome for strength and conditioning and they also build muscle. You only have to observe a top class sprinter’s physique to see this. Sprinters are usually possessed with highly muscular and defined physiques in marked contrast to the weak and emaciated looking bodies of long distance runners. 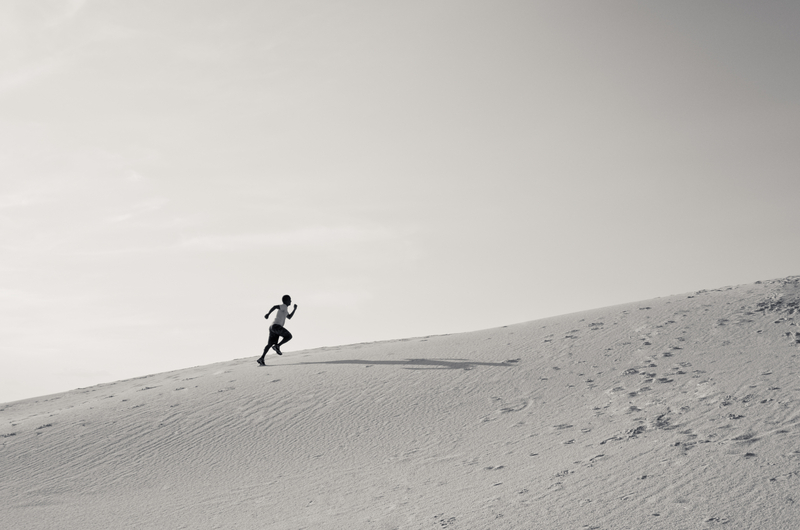 Sprinting uphill has distinct advantages over conventional sprinting. It places less strain on the knees, the compressive forces on the joints and connective tissues being significantly reduced compared to those imposed when training on the flat. In order to perform these sprints you will need to locate a hill at least twenty five yards in length – if you can find one longer then utilise that. After a warm up sprint up a hill as fast as you can, then use the walk back down as your recuperation period. Repeat. Alternatively, get yourself a gymboss timer and sprint for twenty seconds, if your hill is long enough. If you go all out, twenty minutes of this will be more than enough, believe me, your sides will ache and you will feel like your lungs are being hacked up. This is also proven to be one of the most effective ways of achieving rapid fat loss. These are a favourite strongman exercise, and for good reason. Loaded carries increase both strength and conditioning. They also create more stability in the ankle and knee, whilst also massively developing the musculature and strength of the posterior chain. It is also one of the best exercises for developing grip strength. A strength and conditioning protocol, trained consistently will result in increased recuperative ability, improved sleep quality and general fitness levels. Additionally it will greatly help reduce levels of body fat. If you wish to achieve rapid fat loss and conditioning utilising somewhat less strenuous protocols, then this article highlights a good number of equally effective alternatives. To reap these rewards employ any or all of these movements. They will initiate rapid fat loss and increase your strength and conditioning. This will translate to skyrocketing performance levels. Training effects of short bouts of stair climbing on cardiorespiratory fitness, blood lipids, and homocysteine in sedentary young women.